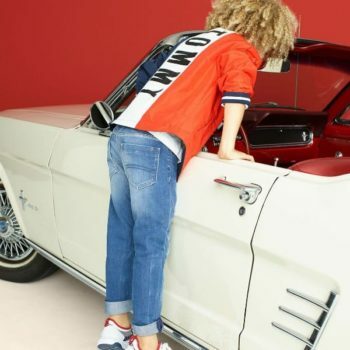 Love this TOMMY HILFIGER Girls Surprise Track Jacket & Red Skirt for Spring Summer 2018. Adorable Streetwear Look for Girls featuring this lightweight track jacket with the iconic navy blue and red striped trim and a Surprise glow-in-the-dark & GO! and a navy blue Tommy all-over print. Looks perfect with this Red Skirt and Matching Sandals. Inspired by the Tommy Hilfiger Women’s Collection. Great Price & Ships Worldwide.